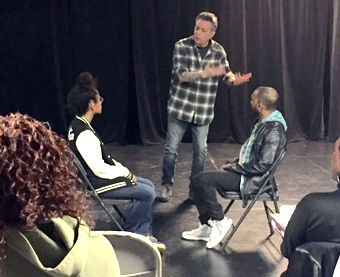 • Scene Study & Audition Technique : In scene study class Alan focuses on a detailed breakdown of the script into its essential elements. Starting with a table read, after which Alan provide students with notes and send them home to work on their own. Information is exchanged and students work out a rehearsal schedule during the week. If for any reason you cannot meet with your scene partner you must contact them to re-schedule. If your scene partner cannot make it to class bring a back-up scene (with additional copies) to class. Make the best use of your time. Don’t avoid class because your scene partner is unable to attend. There is always work to be done. 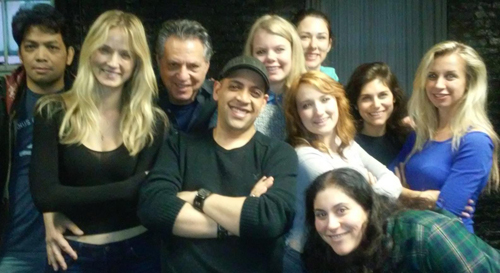 We also work on audition technique, and improving cold reading skills in every class. Students are welcome to bring audition material to class to work on.